I have devised a method for a budding author to stop himself cold, lose all momentum, and give up the thing he loves over the course of just a few months. To freeze his writer’s soul in ice like a caveman out for his morning wee, caught in a blizzard and entombed until the 90s. Evidence? Not only have I ground to a halt on the novel(s), but I’ve run out of steam on the blarg too. For that matter, I’ve barely given a thought to myself as a storyteller in that time. And it’s all — probably — or at least partially — well, fine, there may be many reasons, but a not-insignificant one is — that over the last year or so, I went and did a dumb thing. It started when I picked up Stephen King’s On Writing and a lovely little tome called Wonderbook. Enjoying those, and thinking I was really doing myself some favors, I added a bunch of other reads about character arcs and storytelling generally and characters and motivations and basically anything else you could think of. Great stuff, really. Hard to over-recommend On Writing and Wonderbook especially. Sprinkle with a series of savvy, snarky and OTHERWISE youtube channels dedicated to dissecting masterworks of film and literature and illuminating how they get it right and wrong. Then, top with a really crushing sense of inadequacy. This is the feeling, that “how is it even possible” sense one gets from standing at the foot of a gargantuan skyscraper, looking up toward where its apex stretches into the seemingly endless sky. Or the mind-shattering smallness you come by while staring up at the multitude of stars in the heavens on a clear night. Too much looking up, too much contemplation, too much analysis. And, then, it’s comforting not trying to write everyday. Certainly it’s easy. Leaves more time in the day for other things that aren’t as taxing, aren’t as stressful. Like disappearing down a video game hole for a month or two. Or endlessly hate-watching the news. But it also feels empty. Like I should be doing something and I’m just stubbornly not doing it, like a kindergartner refusing to eat her vegetables. Except that analogy doesn’t work, because the kid doesn’t innately want to eat vegetables; the kid wants to eat grilled cheese and pizza and french fries at every meal. So it’s more like a kid refusing to eat pizza because she’s not the best pizza eater in the world, as if pizza eating were a thing that could be done well or poorly (the only way to eat pizza wrong, and this is scientific, is to NOT eat it until you’re sick). A dereliction of duty, if only to myself. A failure of the natural order. I feel better when I write. It cleans out the mental pathways like running a Neti-Pot through your sinuses. It gives that sense of accomplishment, like waking up early and doing the dishes before your wife is awake so she doesn’t have to worry about Tuesday’s lasagna turning to red, craggy concrete in the pan. And then, also additionally too, I look back at the catalog of this site and the stories I’ve written and the novels I’ve finished and partially finished, and dammit, I did those things. However inexpertly and imperfectly, I did them, and surely I was less expert when I did them than I am now while I’m not doing them because I’ve read and learned so much. And, if I may say so myself, I don’t think it was all that bad. So who am I to tell myself I can’t or shouldn’t spend my time doing these things,that I don’t deserve them, that they are a waste of my time? I reached for a pen this morning while sitting in my classroom waiting for my students to arrive and all this came pouring out. Like the evil flowing out your other nostril as you inhale the witches’ brew in your Neti-Pot. Which means, at the very least, that there’s still something like a drive to create stowed down in the depths of my whatever, somewhere. I mean, it’s February after all, and we’re already getting seventy-degree days here outside Atlanta. Maybe a spring thaw is on order. This entry was posted on Tuesday, February 12th, 2019 at 2:55 PM	and tagged with creativity, crushing sense of inadequacy, funny, how to stop writing, inspiration, writer's block and posted in Ramble. You can follow any responses to this entry through the RSS 2.0 feed. There is a definite danger in learning too much. There’s more danger in comparing yourself to another writer. We each have our unique voices. I enjoy yours here on your blarg as I’m sure I would in your other writing. Your books. Keep writing. Even if what you’re writing comes out as what seems the nastier byproduct of a Neti-Pot, don’t stop. Because even the worst of what you do can be made pretty. And if you’re ever in need of more encouragement than that, allow me to beta-read your manuscript. You can be sure my feedback will be honest … and that I’ll find something wonderful in what you’ve written. I guarantee it. I may just take you up on that. The natural order has been restored. Ok, not just well but great. This is ‘Party Time’ once more for your readers! I am right there with you on so many points! I go through phases where I learn and learn and learn (Writing Excuses is my fave too) and then I get intimidated. 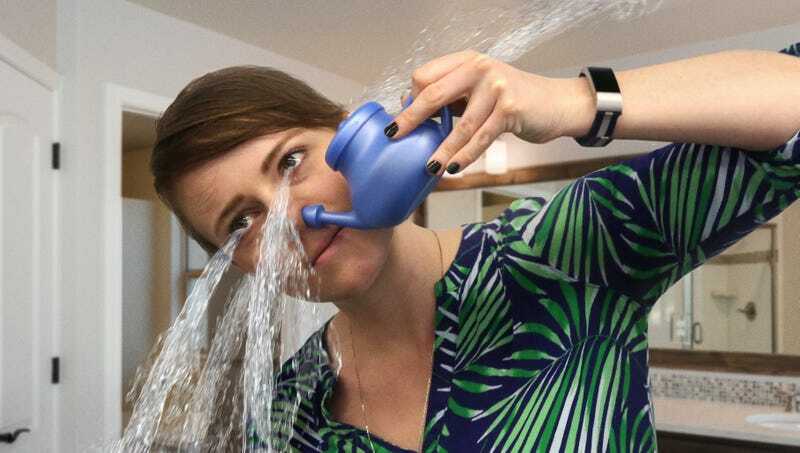 I need to write, it is cleansing, and I have actual mental and emotional problems when I don’t (totally neti-pot need). I find that if I write regardless and just say that I’ll write my story now however I want to and go back and sort structure and character arches later, then I do a lot better. Because all that information is simmering in the back of my head, it turns out I’m usually applying it without realising it. Of course we will always have to go back and fix our first drafts, but we just have to get the words down first. See, that’s my problem. I wasn’t drafting for the longest time, I was editing, and I think I got exhausted with it. Of course, it’s work that has to be done, but … eesh. I miss drafting.